YU has come a long way since the launch of Yureka on 18th December, 2014 and the first Flash Sale of Yureka on 13th Janury, 2015 which saw a total of 3,00,000 customers trying to get their hands on Yureka which even led to the crash of Amazon Website. Though celebration on 13th Jan is a bit odd since technically it should be 18th December. Then again who are we to question. 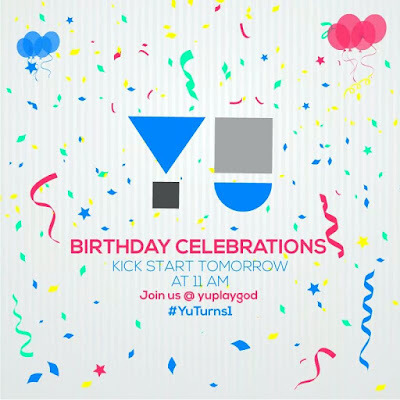 YU has come a long way since then and has launched a range of products which includes four different mobile phone, one fitness and one health device, speakers, power bank. We also mustn't forget that launch of self proclaimed 'World's most powerful phone' Yutopia which made YU the first Indian company to launch a device with Snapdragon 810. YU also has the exclusive deal with Cyanogen. Here's the list of YU devices with a link on where to buy them.